When Screencastify launched in 2014, it quickly became the most installed screen recorder extension for Google Chrome. Today, over 7 million people around the world use Screencastify every week to communicate and inspire in classrooms, offices, and at home. 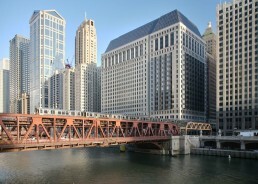 Screencastify HQ is in downtown Chicago, IL, overlooking the beautiful Chicago river. Most of the team is based here, where they live happily from May-October and miserably from November-April. Our founder, Manu, works in Germany because the commute was a little much for him. If that sounds like you, what are you waiting for?! Send us a fax today. We’re always looking for talented, ambitious people. Please fill out this form to introduce yourself.